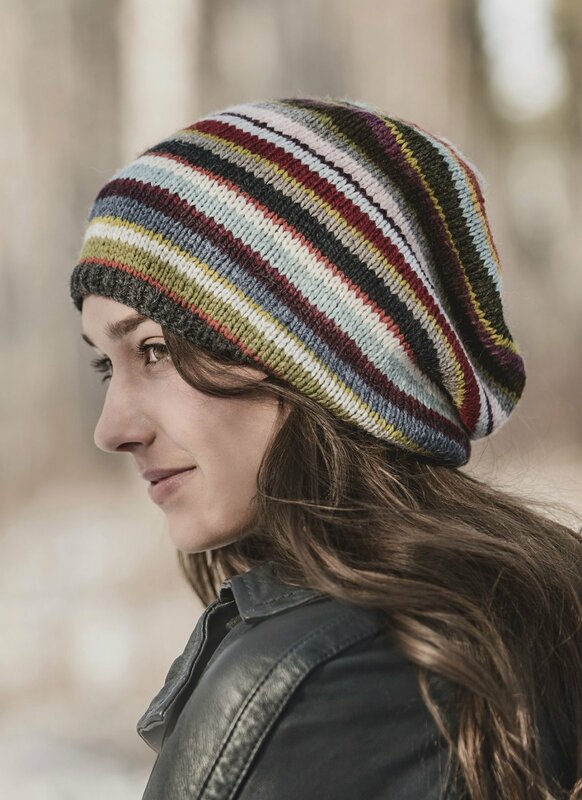 Knit in all 21 introductory Woolstok colors, this striped slouch hat is light enough to be worn in any season. As fun to knit as it is to wear. **This pattern is available as a kit with all 21 Woolstok colors in 5 gram mini-hanks at your local yarn store.